Lighten Up: Why lug an entire guidebook around all day if you’re just seeing a few places? 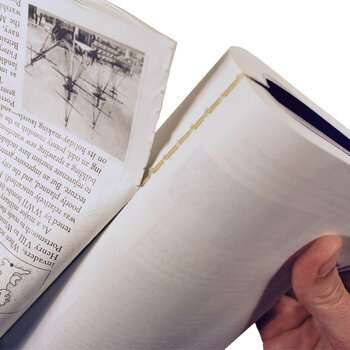 The problem is, ripping out chapters can make a mess. Tidy Up: Rick's Guidebook Page Binder clamps your chapter pages together in a tidy binder — matches the dimensions of Rick's full-size guidebooks. Toughen Up: The laminated cover and heavy-duty spine add the form and durability that unbound pages yearn for (they do, trust us). 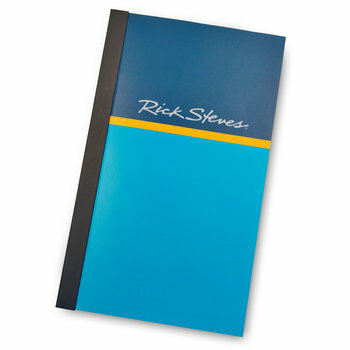 Spiff Up: You and your pages will look sharp, too, as our binder is styled in official Rick Steves teal. Giddy Up: Refresh your binder with a new batch of pages every day during your trip, and go forth with renewed lightness and focus. 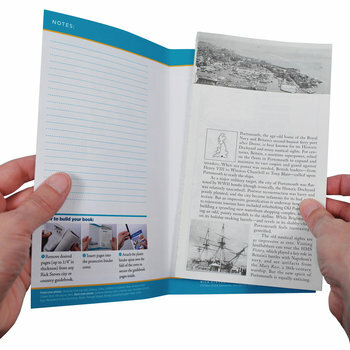 Listen Up: Our Guidebook Page Binder is designed to hold a set of pages up to ¼ inch thick. Surpass this at your own risk. Do not abuse your binder.